Use a balance to measure mass and a spring scale to measure the weight of objects. 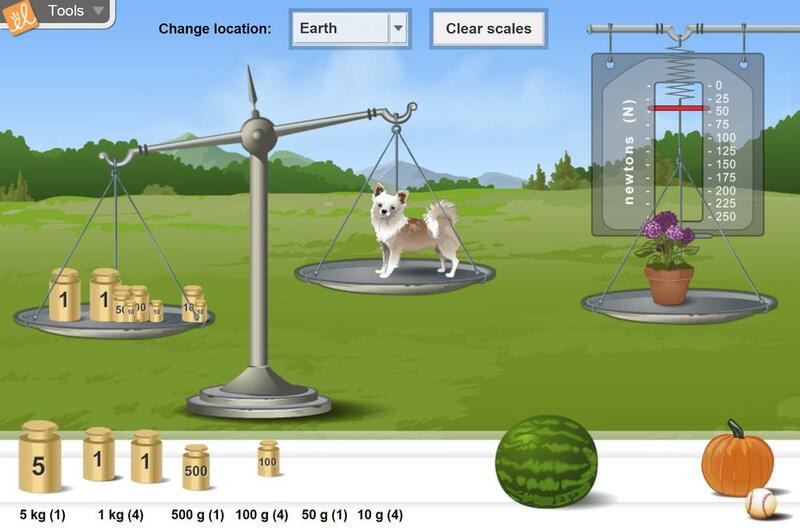 Compare the masses and weights of objects on Earth, Mars, Jupiter, and the Moon. Define mass as the amount of matter in an object. Define weight as the force of gravity on an object. Use a balance to measure mass. Use a spring scale to measure weight. Discover that the weight of an object changes when it is moved to another planet. Discover that the mass of an object is constant regardless of where it is located. Students will compare mass and weight of objects on Earth and various satellites to understand the differ... (more)ence between mass and weight. This document is the Spanish translation of the for the Student exploration: Weight and Mass. Exploracion... (more) del Estudiante: Peso y Masa. This translation only has Activities A and B. This document is the French translation of the Assessment Questions for Weight and Masse. This translati... (more)on was graciously provided by the Consortium provincial francophone de l'Alberta. This document is the French translation of the Student Exploration Guide for Weight and Mass. This trans... (more)lation was graciously provided by the Consortium Provincial francophone de l'Alberta. good gizmo for reinforcing the difference between mass and weight. This is a good GIZMO for students to practice the difference between weight and mass. I love this gizmo because it introduces kids to the basic properties of matter that are mass,volume and weight in a very easy and fun way. Different locations was a great idea. This gizmo was a great activity for a low level high school chem class. This is a wonderful, 5 minute demonstration, to remind high school students as to why we measure in mass rather than weight. Great way to learn the difference in weight and mass! Gave my students a clear understanding between the difference between weight and mass. i recommend this to anyone who likes science or is having trouble cuz it will help alot and u will love it.